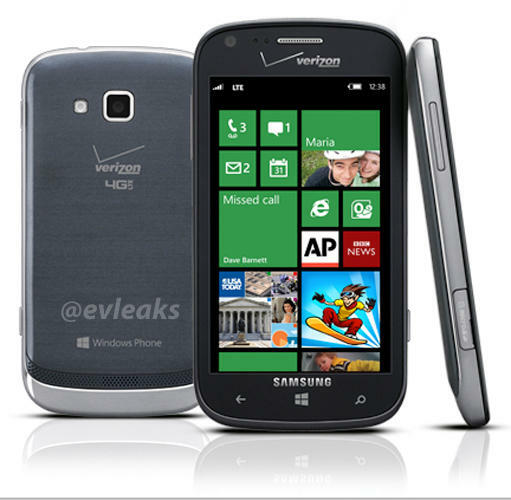 The existence of Samsung’s Verizon-bound Ativ Odyssey smartphone was one of the bigger surprises at Microsoft’s recent Windows Phone 8 launch event — it was the only handset highlighted that hadn’t already been revealed — but no one was willing to talk details at the time. That’s unfortunately still the case now, but thanks to a newly-released photo from @EvLeaks, we at least know what the damn thing looks like. Bad news, design nuts: any of you expecting the Odyssey (a.k.a the SCH-i930) to be as sleek or as stylish as the Galaxy S III or Ativ S will probably come away disappointed with the final product. The device naturally retains some of the design language used in its more handsome cousins (especially the striated finish on its back plate), but the Odyssey seems to be a rounder, chunkier affair. Personally, I get a distinctly mid-range vibe from this thing, but it’s tough to see where it fits into Verizon’s current line-up of Windows Phones considering the dearth of details on the Odyssey right now. That’s not to say there’s absolutely no information on the device floating around out there — if a product document that Samsung submitted in the midst of its legal battle against Apple holds true, the Odyssey may end up sporting a 4.65 Super AMOLED HD display, an 8-megapixel rear camera, and a Snapdragon MSM8960 chipset. That would essentially make the LTE-friendly Windows Phone a slightly smaller version of the Ativ S, but we’ll soon see how accurate that is — the Ativ Odyssey is slated for a stateside launch sometime in December.